This week we're making Agatha Christie napkins to go with our Agatha Christie placemats. 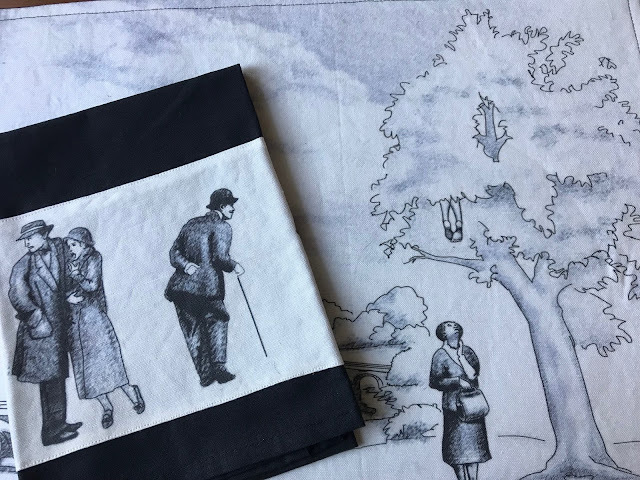 These are fairly simple, once you've purchased the Toile de Agatha Christie from ArtGarage on Spoonflower. We're now going to use the character strip that comes with the placemat pattern. To make this as fast a project as possible, we bought four black cloth napkins. Character strip from Toile De Agatha Christie - featuring Poirot, Miss Marple and Tommy and Tuppence. Cut out your character strip and fold over the messy edges at the top and the bottom of the strip. Pin in pace at the ends and sew in place. 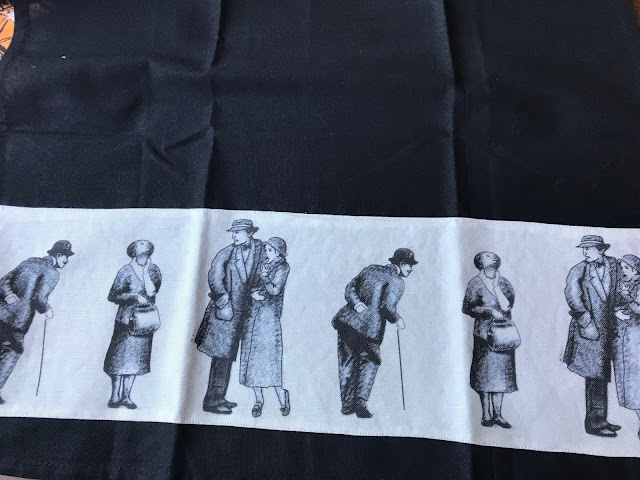 Repeat for all four napkins. We finished ours in about an hour. Now enjoy with your Agatha Christie placemats, complete with hidden bodies. I keep threatening to get that fabric. I probably should!